Emperor Basil I of Byzantine bestowed the monks with the sole right of entrance to the Mount Athos peninsula in 885 A.D. They have built a flourishing religious community and maintained and protected the ecosystem ever since. Their management predominantly consists of controlling entrance and regulating timber practices. 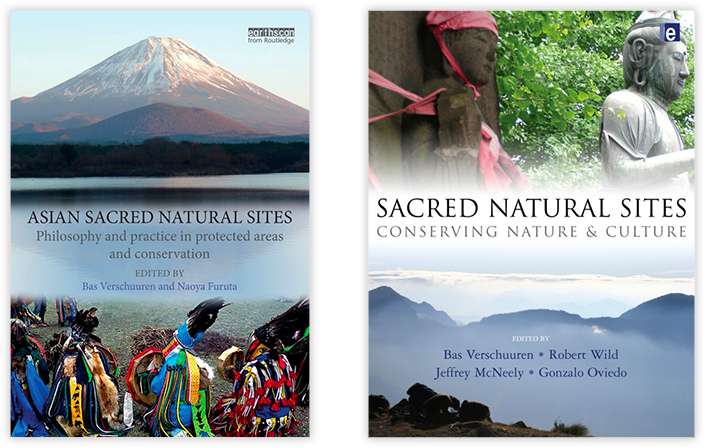 The peninsula is officially recognized as a UNESCO World Heritage Site and as a Natura 2000 site, but both designations were not set up with consultation of the monks. Nonetheless, in 1926 the Greek constitution recognised the monks as fully responsible for management of the site. There are in total twenty monasteries in the site of the Eastern Orthodox Christianity. The monks attribute spiritual importance to the mountain’s ecosystem and they see protecting it as their divine purpose. The monasteries are also self-sufficient in their energy needs and they produce some of their own food and herbal medicine. The autonomous monasteries work to protect the nature guided by a cooperation called the Holy Community. The monks work together with scientists to gain knowledge about site-specific ecosystem threats such as wildfires and soil deprivation. For example: ecological studies inform the monks about which tree species trees to fell and how to diminish fire risks. This active disposition and continuing commitment of the monks to protect the area shows potential for further cooperation with other international actors, such as UNESCO and IUCN. Mr. Thymio Papayannis has been an advisor on conservation management to the Holy Community and together with Mr. Josep-Maria Mallarch coordinates the Delos Initiative who held its second workshop on the management of scared natural sites at Mt. Athos. For more details about the history of the site or results from the ecological studies see our website. “We guardians are pleased with the collaboration and would like to meet with more guardians to discuss forming a network or perhaps an association” — Musa Hassan Mwambe, Guardian of Marembwe Sacred Forest, Makanduchi village, southern, Zanzibar.